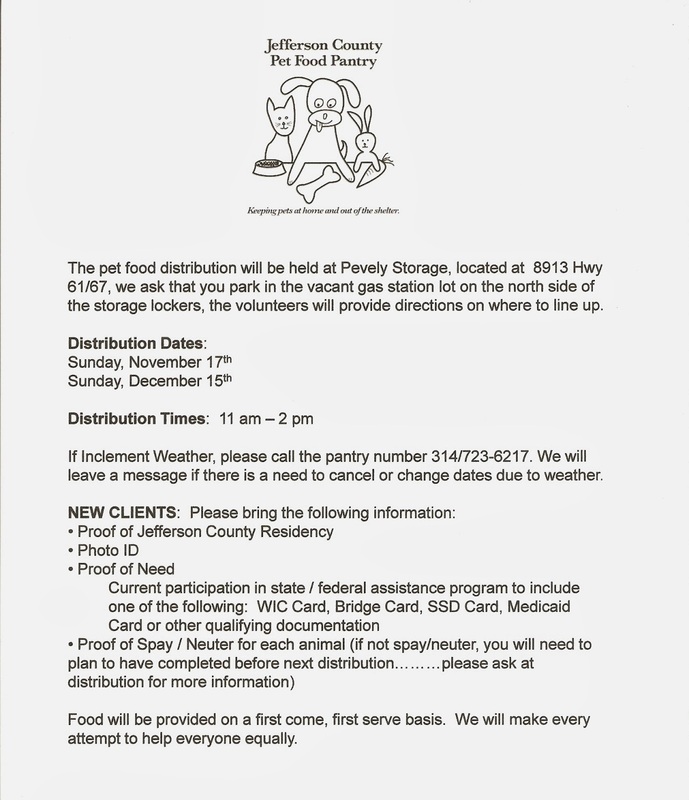 Jefferson County Pet Food Pantry : PLEASE NOTE!! Distribution is November 17th. PLEASE NOTE!! Distribution is November 17th. We will no longer be meeting people to deliver food unless you are home-bound or disabled. Read the flyer below for all on the new information regrading the pantry. DO NOT bring pets!! Volunteers will be assisting with parking, If you have questions, please call the pantry line 314-723-6127.